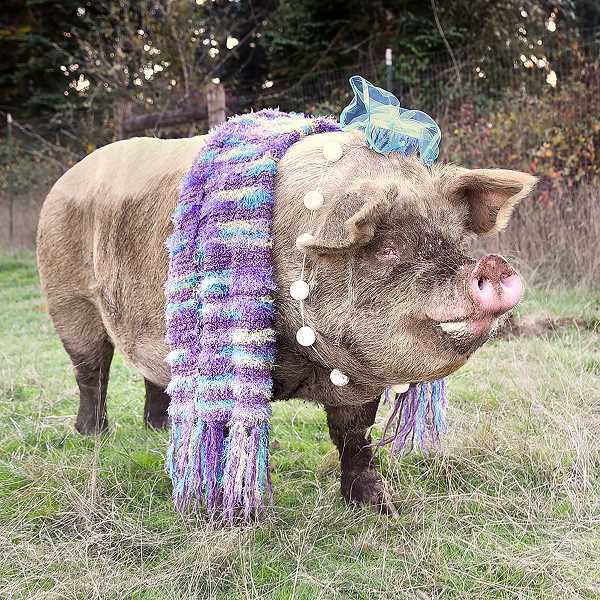 Recently, Barbie the farm pig got all dolled up and enjoyed an exciting night of eating vegetables. At Out to Pasture's annual Trick or Treat for the Animals event on Saturday, Oct. 28, attendees could give vegetables to the creatures who reside at the sanctuary, and Barbie enjoyed the grub that the night brought dressed as a society lady. Her costume consisted of a scarf, necklace and hat. In addition to Barbie, several other pigs, goats and sheep participated in the trick or treating. 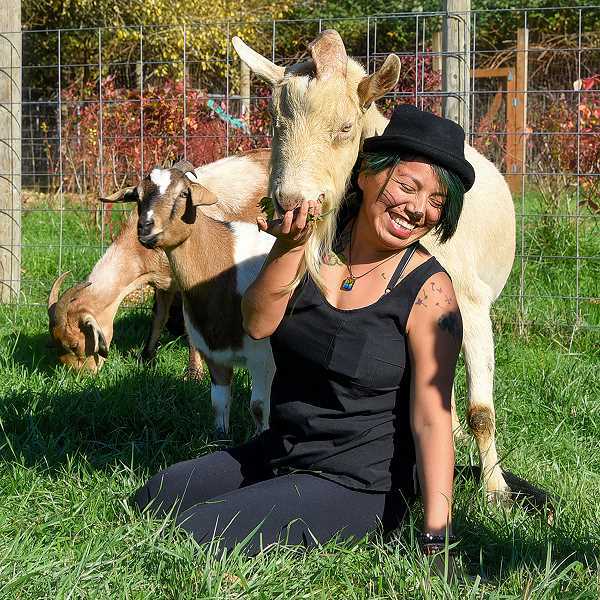 In addition to giving the animals healthy Halloween treats, more than 400 participants enjoyed cider making, face painting, raffle drawings, a puppet show, a haunted barn, a costume contest and a photo booth. The event is Out to Pasture's final fundraiser of the year, and more than $4,000 was raised to purchase feed for the animals at the nonprofit organization on Reagan Hill Road. For more information about Out to Pasture, visit www.outtopasturesanctuary.org.